One of my favourite football related family stories is one my uncle told me years ago about how as a child whenever the team he supported, West Bromwich Albion, were playing at home he would wait on the front step of his house for my Grandad to come home from work with a couple sandwiches and occasionally a bottle of beer for his old man. In the 1950's, like a lot of working men in England, my Grandad worked five full weekdays and then a half day on Saturdays. 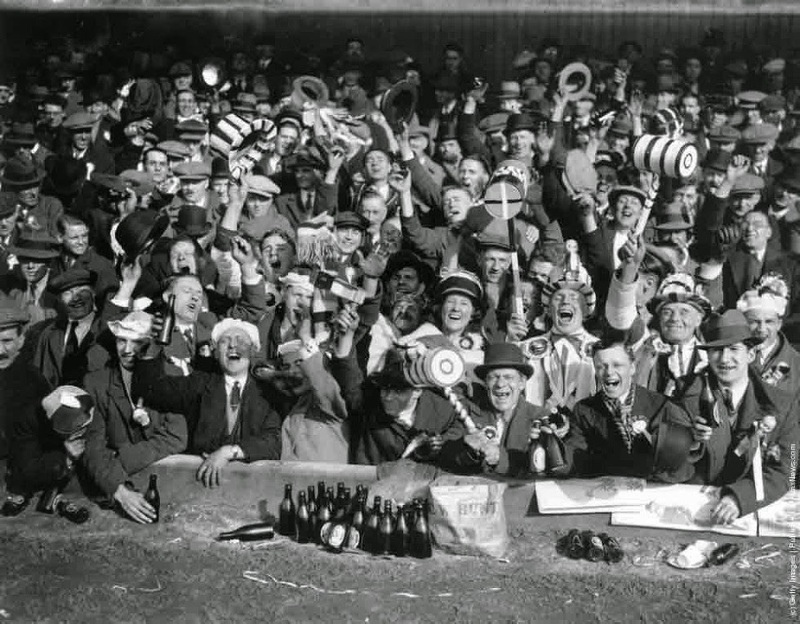 The fact that a lot of factories and other places of business were open until noon on a Saturday is what influenced the still traditional 3pm kickoff time in the United Kingdom. Anyhow, once my Grandad was home from work, him and my uncle would jump on a bus to The Hawthorns and take their place on the terraces to support their local team. 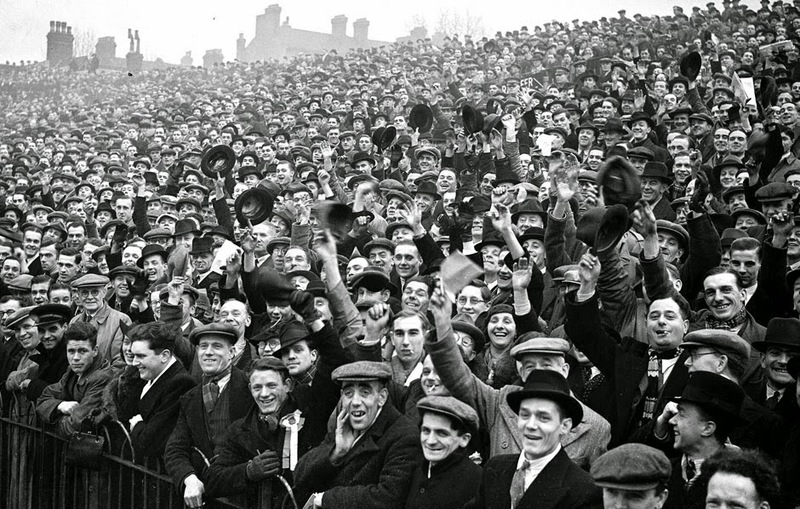 Going to football was very different back in those days, for one it was far more affordable for average working class people to attend matches, there was also no assigned seating, you just found a spot on the terraces with your friends and family while trying to not get pushed down too many rows when the crowd surged with the action. 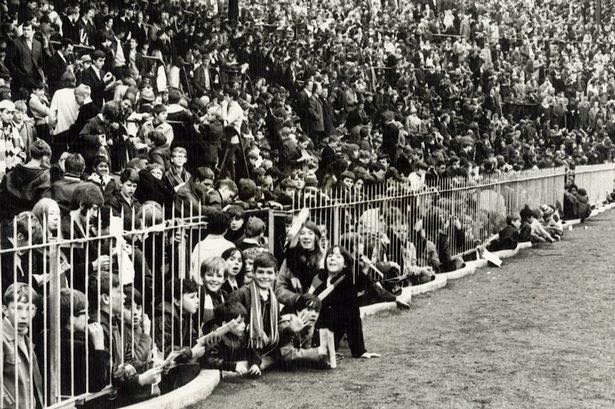 Crowd trouble starting from the mid-1960's, and a string of pitch invasions, eventually led to perimeter fencing going up at most of the bigger grounds in the 1970's. This, and a series of other factors such as negligent policing, inadequate safety measures and crumbling stadiums, led to the horrible tragedy of the Hillsborough Stadium Disaster in 1989 when 96 Liverpool fans lost their lives in a crush and thus changed the game forever in Britain. The fences came down and thanks to the Taylor Report all top division stadiums were required to go all-seater. 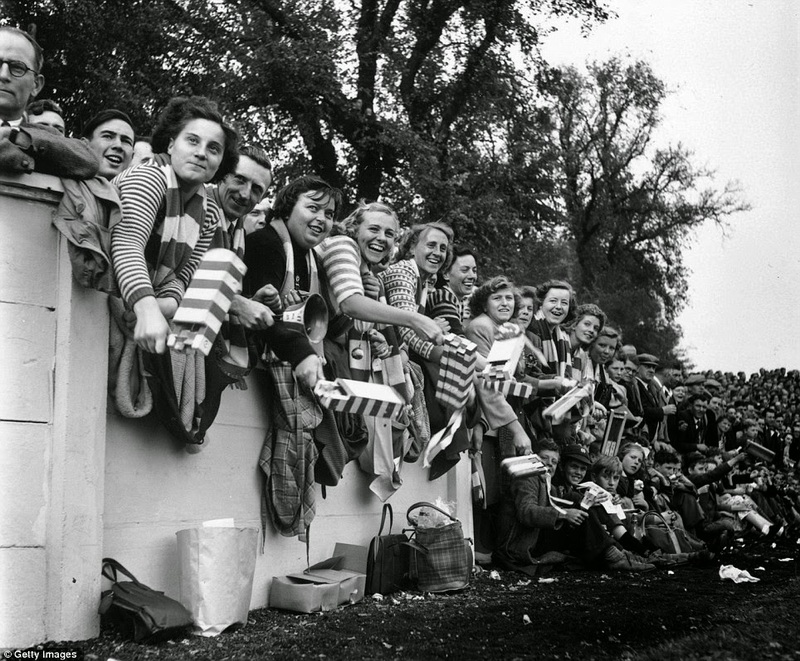 Although safety has been greatly improved in the UK since that time, and the quality of the on pitch action has probably improved, I can't help but occasionally look back at old photos of football from days gone by and feel a little envious. 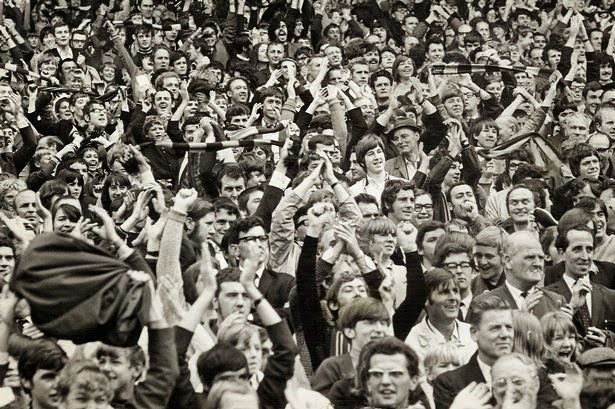 Besides the lower cost of tickets, and even taking into account inflation it was far cheaper to go to a match back then, people seemed far happier to be there at the grounds. The crowds were generally full of the smiling faces of average people standing shoulder to shoulder with their friends and family while cheering on their sides. I can't help but feel we've lost something. With that said, here are a few of my favourite crowd shots from days gone by.